Saturday most Kate developers will depart, therefore now the most work has been finalized (or at least brought to some intermediate state that works OK). 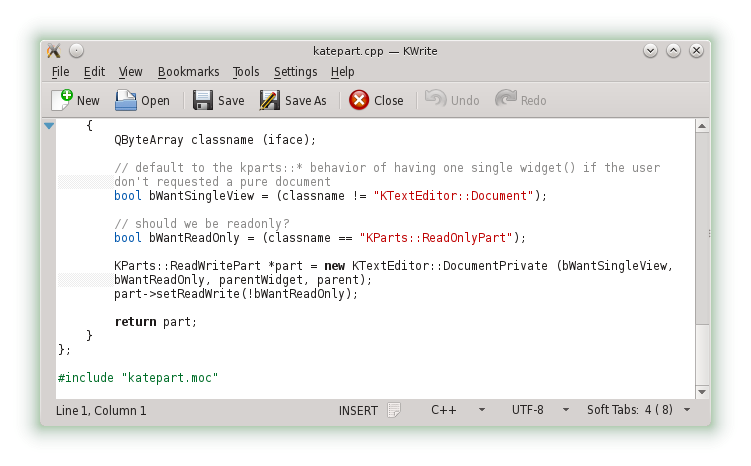 After the first initial status bar integration into the KatePart, we thought a bit more about what users might expect. Looking at the competition, one common feature is to allow quick-switching the indentation settings. 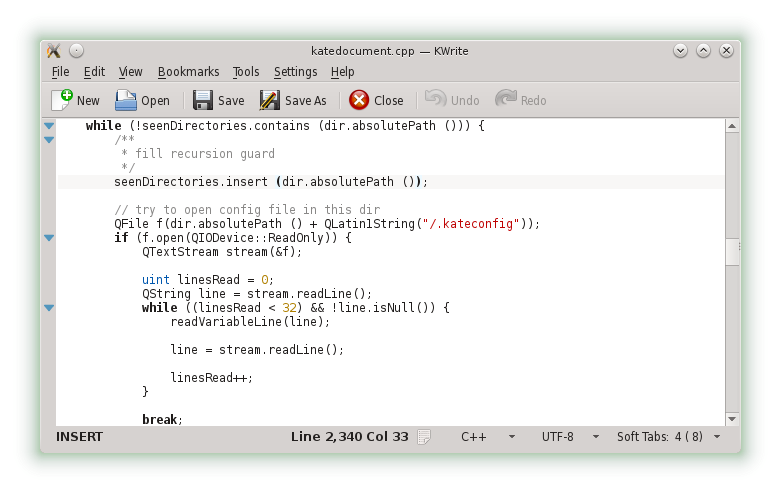 Joseph gave that a try and we now have an even better version available in the KF5 KTextEditor framework. 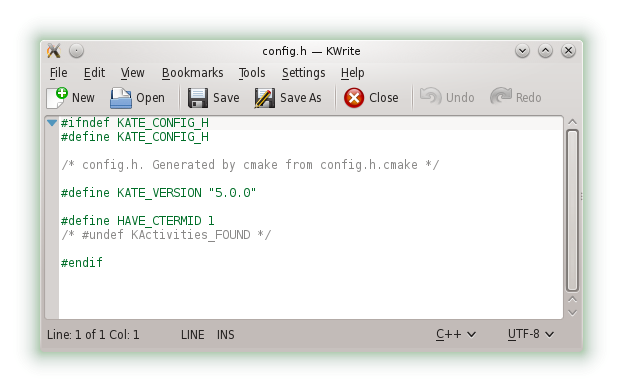 Just started to introduce a default status bar to KatePart. 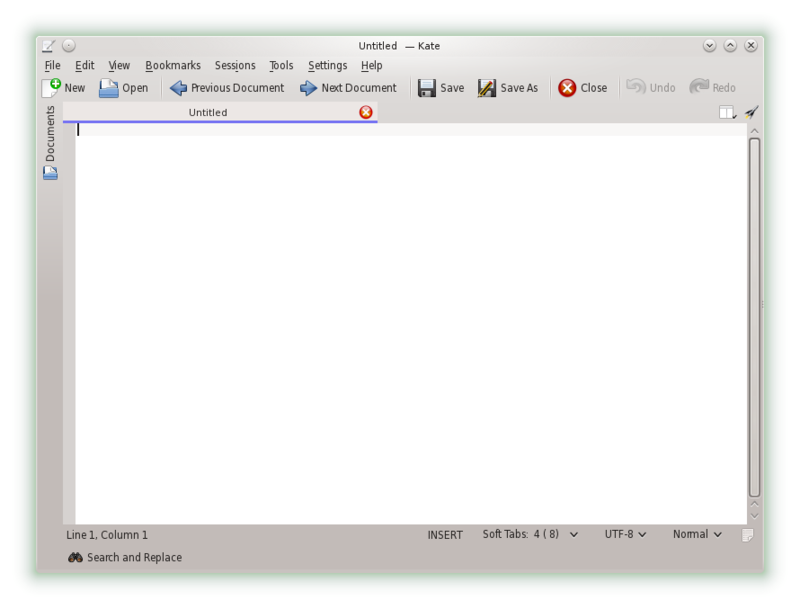 If the host application doesn’t want that, the KTextEditor interface allows to deactivate it completely. Here we sit, in Barcelona, hacking away at KTextEditor & Kate. 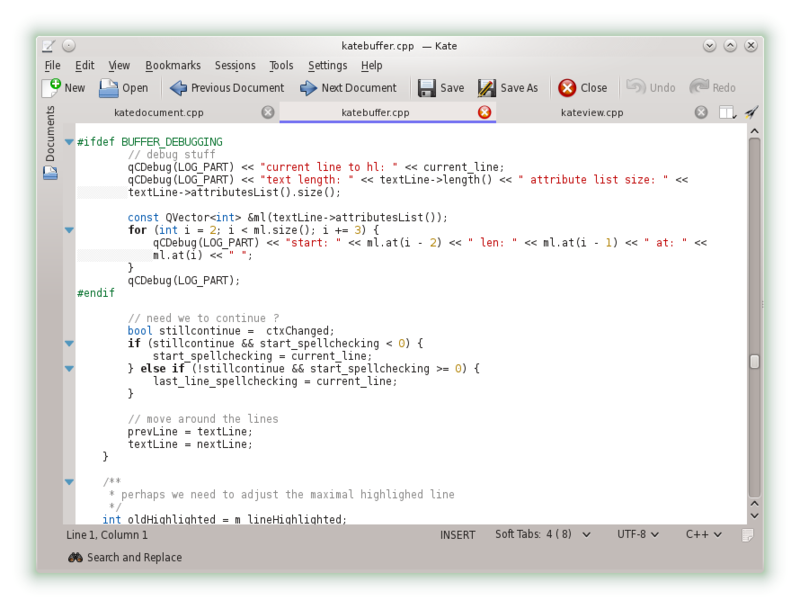 During the first 2 days, we already got some stuff done, like cleaning up KTextEditor interfaces and port more parts to KF5 (like ctags plugin, sql plugin, …). It is really good to have some free days in a nice location to focus on that goal! We will not fundamentally change a lot of stuff but really concentrate on long term items we had on the radar for the 4.x => 5.x change and on having a GOOD 5.0 release that is as usable as the 4.x series with hopefully only as few regressions as possible.